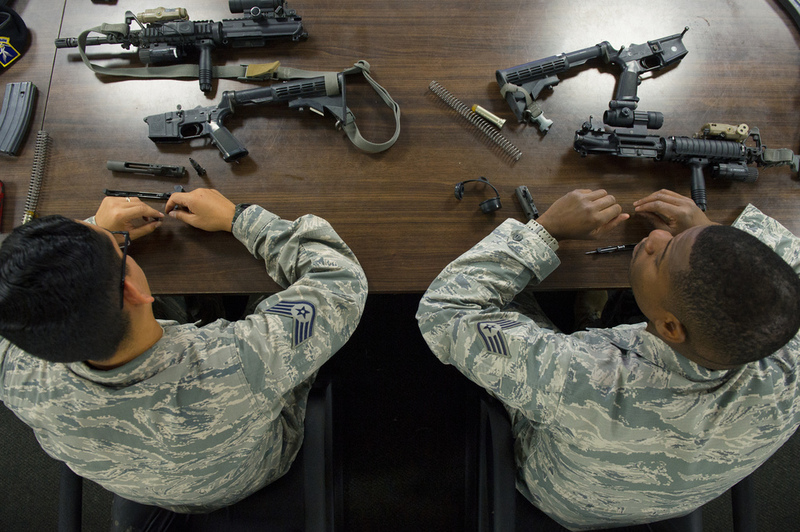 In keeping with their combat readiness requirements, Airmen participate in the Combat Arms Training and Maintenance course to learn skills vital for defending themselves and their fellow Airmen downrange. Airmen have to meet minimum qualifications in order to pass the course. They must demonstrate full knowledge of safety rules, procedures and characteristics of multiple weapons and types of ammunition.